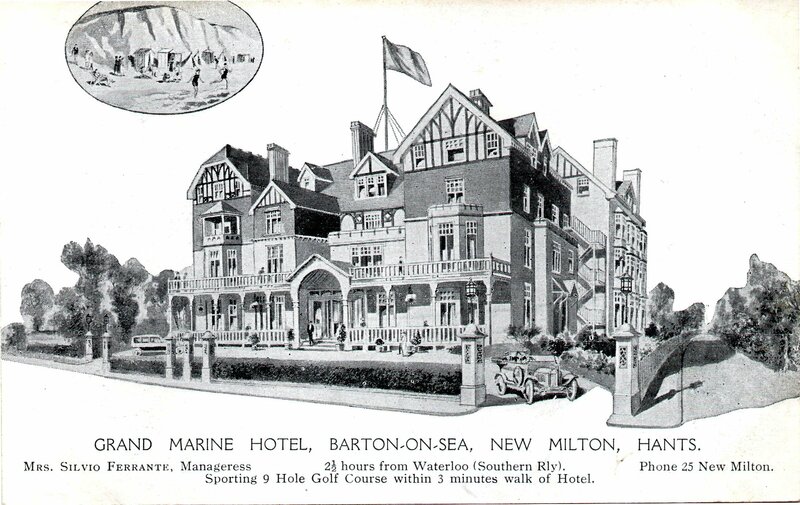 There have been hotels in Barton on sea since the early 1900s as tourism started to flourish and the area became known for the Solent shore, golf, and easy access to the New Forest. 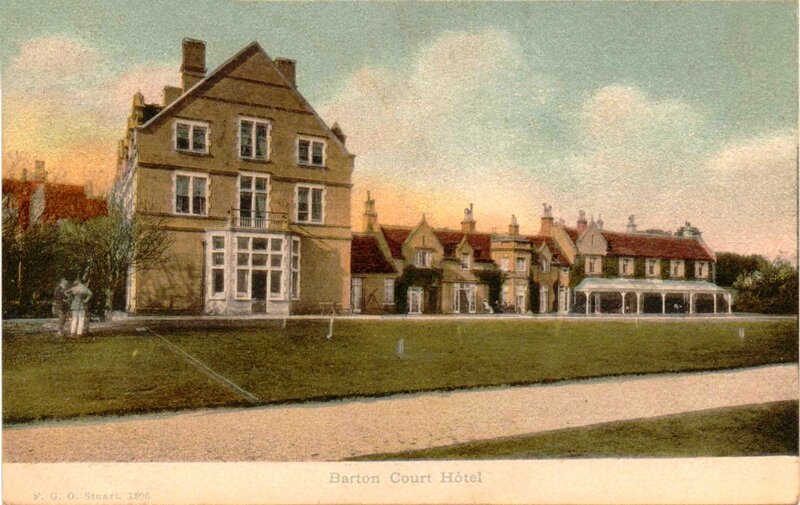 One of the earliest hotels was the Barton Court Hotel which was a converted private house. Originally the Barton Court Estate owned most of the land in the Barton area. It was the sale of this land from 1894 onwards that enabled the area to develop into the residential village that we know today. 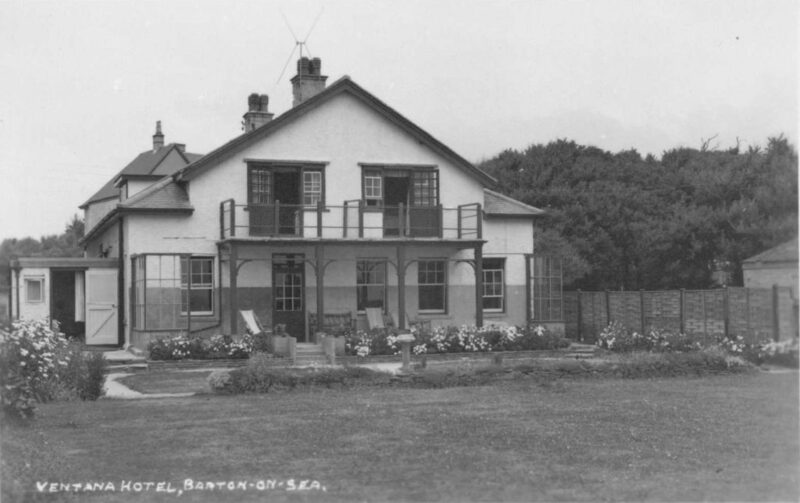 This hotel was located on the cliff tops close to where the Beachcomber cafe is today. During the First World War it was used as a military convalescent home. A fragment of the building remains. This hotel was in business from 1910. It is of note that this was purpose built. It was situated on Marine Drive opposite the pathway which leads down to the beach. During World War One it was, like the Barton Court Hotel, used as a military convalescent home first by Indian soldiers and then by British and Commonwealth. It was later used as a youth hostel when it was known as Barton Chase. Its final use was as a nightclub before it was demolished in the early 1990s. Close to Barton Court was the Ventana hotel which offered incredible views of the sea and shoreline. It also has an excellent reputation for the cuisine on offer. It later became a pub before being completely refurbished and opened under the new name of Pebble Beach as a restaurant. It quickly became known as one of the best places to eat in the locality. Pebble beach now offers accommodation. This image of the Ventana is dated 1960 and shows how the building looked before the Pebble Beach makeover. Across the road from the Ventana was the Red House Hotel at the top end of Barton Court Avenue. This hotel started life as two large houses. The one nearest the coast was originally called the St Catherine’s Hotel. They were both purchased by one owner and a building was constructed which joined the two main houses together. Eventually this building was demolished and replaced with apartments. On the opposite side of Barton Court Avenue was the Dome Hotel. This building had been a tea room and guest house then became a hotel. It is now a residential care home. The Dome was in existence when the Indian soldiers were convalescing at the Grand Marine in 1914 –15. 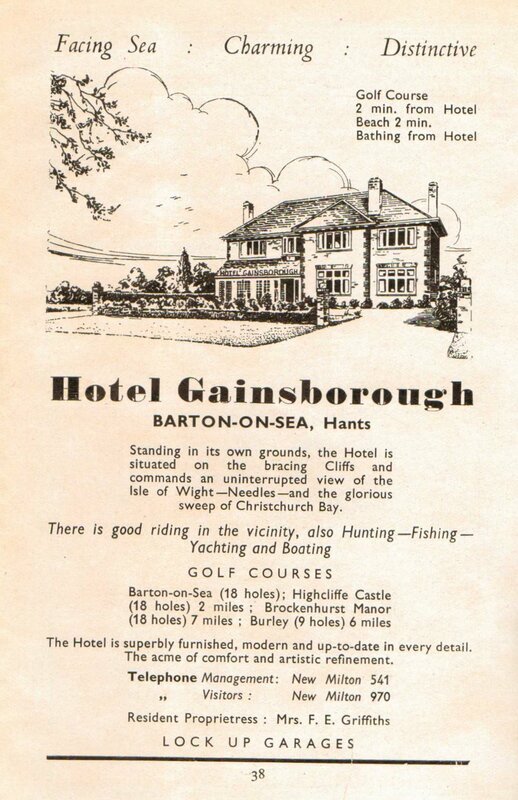 Further along Marine Drive and close to the golf course was the Hotel Gainsborough. This was a converted private house which boasted fantastic views of the sea and the Isle of Wight. An advert from the 1960s suggests that they had an agreement with the nearby Grand Marine Hotel that allows the Gainsborough’s guests to use the pool and facilities at the larger venue. The hotel was keen to promote the local golf courses in the area. The Cliff House Hotel on Marine Drive West is still going strong. The earliest advertisement found for this business is dated 1972. It also has stunning views looking out to sea, and a good reputation for delicious afternoon teas, lunches and evening meals. There were concerns for this building when, in 1993, a large chunk of cliff in the hotel’s garden slid away. However the efforts to stabilise the Barton Cliff area appear to have worked as there has been no further major loss of land here. There were in addition a number of smaller hotels, some with just a few rooms, located in and around Barton. The Longacre Hotel was located on Marine Drive East. A 1972 advert shows that it was marketing itself as an ideal touring centre for the New Forest and Bournemouth. In addition to a magnificent sea view it also offered good food. The Concord Hotel was in business in Barton Court Avenue. 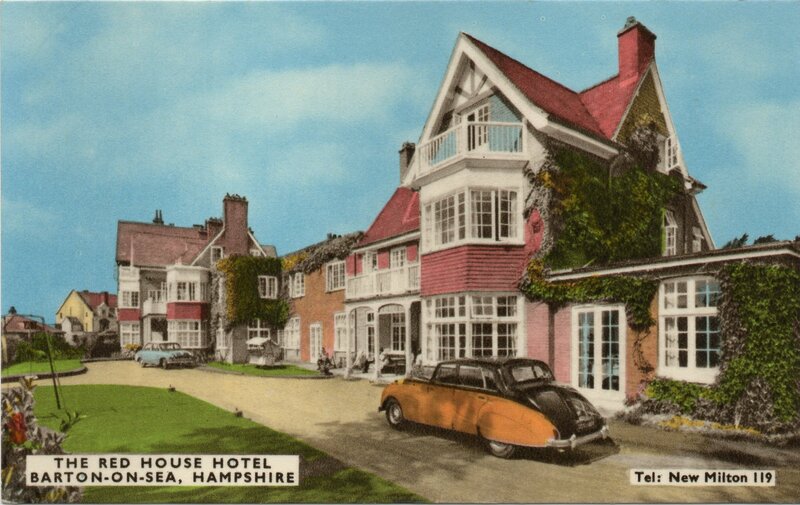 In a 1955 advertisement it boasted that it was set in pleasant gardens and just one minute from the sea. There were also a large number of bed and breakfast houses in the Barton area. 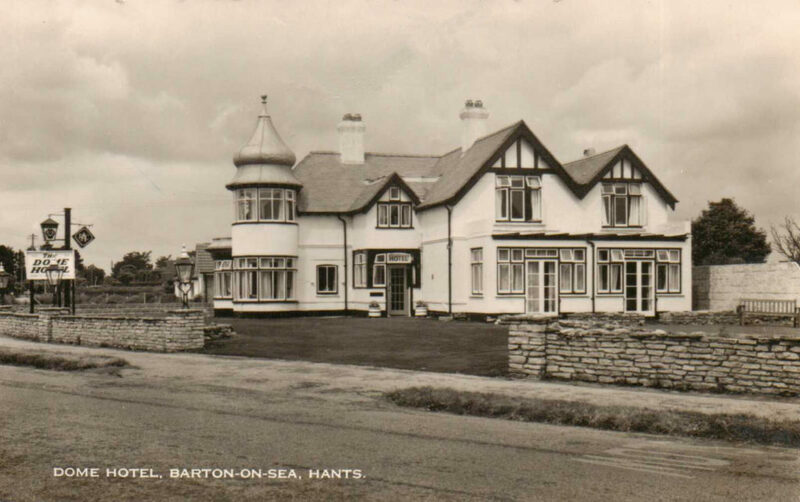 A tourist coming to Barton in the 1950s to 1960s would have been spoilt for choice when looking for accommodation.